Michael (Mike) Kirkland is a partner with the firm ARA-Kirkland, Balsom and Associates based in St. John’s, NL. Mike has been providing valuation and consulting services in both the commercial and residential sectors throughout Newfoundland since 2001. Areas of specialty include appraisal, property taxation and site acquisition for telecommunication carriers. 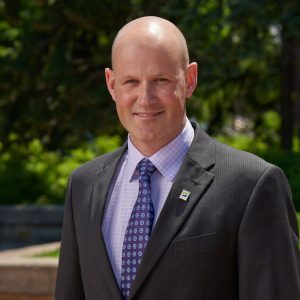 After graduating from the Memorial University of Newfoundland in 1999 with a degree in Business, Mike joined the Appraisal Institute of Canada. He achieved his CRA designation (2003), followed by his AACI, P. App (2004). Since joining the Institute, Mike has been an active volunteer. He has served as provincial president and chaired the public relations committee for several years. Mike began his two-year term on the national Board of Directors of the Appraisal Institute of Canada in June 2016.